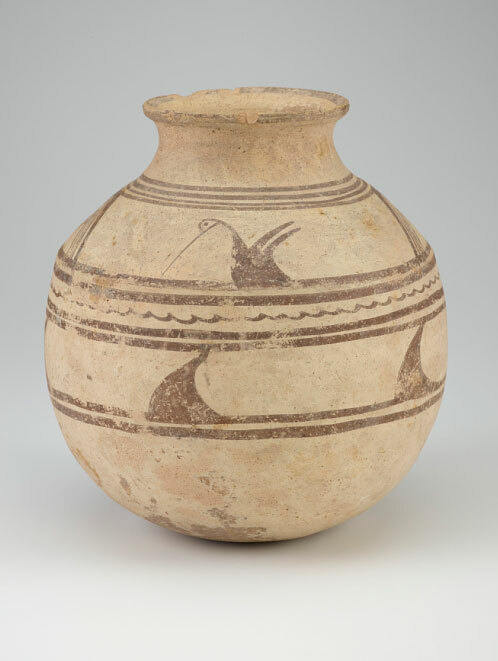 Potters in ancient Iran were fascinated by the long-beaked waterfowl and rams with curled horns around them. This exhibition of ceramics produced in northwestern Iran highlights animal-shaped vessels as well as jars and bowls decorated with animal figures. These ceramics, the most common objects to survive from ancient Iran, date from the Chalcolithic period (5200 BCE–3400 BCE) to the Parthian period (250 BCE–225 CE). Their distinct shapes and lively decoration illustrate the creative attempts of potters to experiment with clay and to lend originality and even whimsy to utilitarian vessels thousands of years ago.